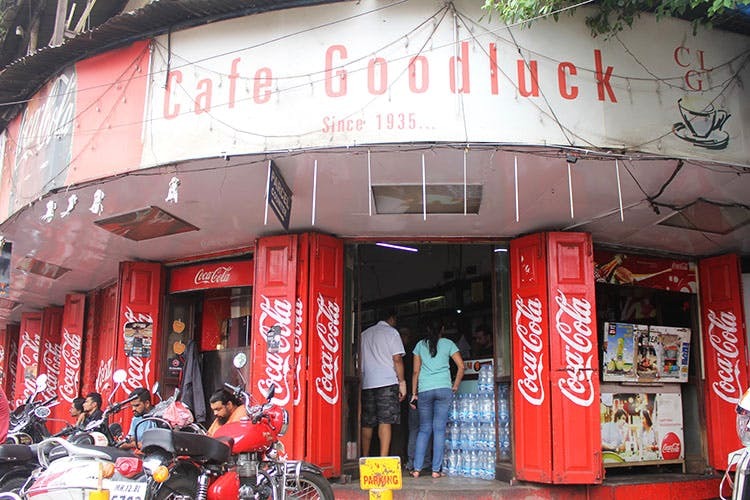 Cafe Goodluck has been around since 1935, serves the best Irani breakfasts and caters to tastebuds of old and young, alike. If you’ve just moved here, introduce yourself to Irani bun maska the right way- by which we basically mean the Cafe Goodluck way! A classic landmark on Pune’s map, anyone staying here, would only have the best to say for this old school spot. On the outset, Cafe Goodluck is a simple, busy restaurant with plastics chairs and servers hustling around to tend tables. But beyond that and above it all, they’re all about the food. This legendary cafe is a regular for some, a tourist’s delight and a haven to college kids on a small budget. They serve a buttery, scrumptious breakfast with a variety of omelettes. You could ask for yours to have cheese or masala or, what the heck, cheese and masala! If you’re not an omelette person, you could confidently give their french toast a shot, sweet or salted, however you please. Their bun maska is to die for. Your teeth sink into the softest buns that they themselves bake. They even make their own jams. You can wash all this food down with a cup of delicious Irani Chai. Personally, our top scorers are their Irani chai, bun maska and bun omlette. We’d recommend you end this scrumptious meal with a caramel pudding. Though they’re most celebrated for their breakfast, they run through the day, serving lunch and dinner. Since the food’s exemplary and the prices are kind, why not head out with your gang for some gluttony. It’s mostly buzzing with people and you might need to wait around to win a spot.